A company in the Swiss canton of Valais wants staff to clock out and back in again when they take smoking breaks. Under Swiss law the practice is perfectly legal and an increasing number of firms are implementing it, particularly in secondary industries such as manufacturing. 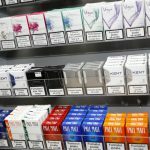 According to Le Matin, Compagnie industrielle de Monthey SA, a chemical company based at Monthey, jointly owned by BASF and Syngenta, plans to put such a system in place by the end of the year to redress the inequality between smokers and non-smokers. “Legally, smoking breaks are not included in work time” said Jean-Marc Beyeler, the person in charge of labour law at Centre Patronal. Companies are free to choose whether they factor this in or not. 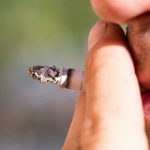 The workplace conciliation and arbitration service, Acas, in the UK cites a study that found UK smokers spent an average of one hour a day on smoking breaks, usually four breaks of fifteen minutes. While another study found that 30% of smokers spent more than hour a day puffing cigarettes outside. UK labour law allows everyone working more than six-hour days to take one unpaid 20 minute break. The unpaid nature of the break makes this similar to Swiss law. An article in the New York Times suggests that taking breaks may improve productivity rather than reducing it. John P. Trougakos, an assistant management professor at the University of Toronto Scarborough and the Rotman School of Management, says mental concentration is similar to a muscle and needs a rest period before it can recover, much as a weight lifter needs to rest their muscles in between repetitions. 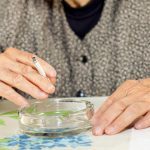 An alternative way to redress the inequality between smokers and non-smokers might be to allow non-smokers to take equivalent breaks. On the other hand, discouraging smoking breaks might help some to drop an unhealthy habit. I think smoking breaks should be banned in work time. Before I retired, some people took numerous smoking breaks, usually every hour plus their half hour lunch break, sometimes totalling not working 2-3 hours. Non smokers? Did not even get the mandatory lunch break as they could not leave the office, as they were expected to man phones, reception, etc while the smokers were out!